Now that it’s officially summer, we’re looking for any and every excuse to spend time outside. It’s been real, hygge, but we’re ready to try a different lifestyle trend. One that gets us out of our comfort zones and pushes us, both mentally and physically, to discover our own strength. So we’re trading our candles and cozy blankets for bicycles and hiking boots and leaning into the Finnish concept of sisu. What is sisu, exactly? At its most basic, it’s a unique form of resilience and perseverance in the face of adversity. But everybody who develops sisu defines it a little differently. We spoke with Katja Pantzar, the Canada-born, Helsinki-based author of the brand new book The Finnish Way: Finding Courage, Wellness, and Happiness Through the Power of Sisu, for advice on how to develop it ourselves. The great thing about sisu is that once you begin to develop it, it snowballs and slowly builds. For Pantzar, one thing led to another, and before she knew it, she was swimming in the freezing-cold sea almost every day. “I think we all have goals that we want to achieve whether they relate to health and wellness, our careers, relationships, or something else,” Pantzar continued. After moving to Finland, Pantzar also discovered the concept of incidental exercise. She learned to look for bonus exercise opportunities in unexpected places, which is something we can all do, regardless of where we live. "When I discovered incidental exercise — walking or biking to work, for example — and started to look at all of the different ways that people in Finland practice incidental exercise, it seemed like such an obvious solution to so many of the challenges facing people around the world — sedentary lifestyles, lack of exercise, lack of time, sustainability, etc. By biking to work every day, I get my half hour of exercise and fresh air. It saves time — I'd be using about the same amount of time to commute. It's good for my cardio, for physical and mental well-being, and even my budget. Cycling may not be for everyone, but perhaps walking part of the way to work is. Or approaching house cleaning or raking leaves in the same way." The beauty of sisu is that you can develop it anywhere. You don’t need to live in Finland or swim in icy cold water to incorporate elements of sisu into your daily life. Walking, biking, eating well, and getting out into nature on a regular basis are simple ways to adopt the mindset and lifestyle. But remember, you shouldn’t push sisu too hard. Especially not at first. “If you push yourself too hard — too much sisu — and try to do everything yourself, that can lead to problems such as burnout. Good, healthy sisu also means knowing when to ask for help, when to take a break — when to get out of the water, so to speak,” said Pantzar. 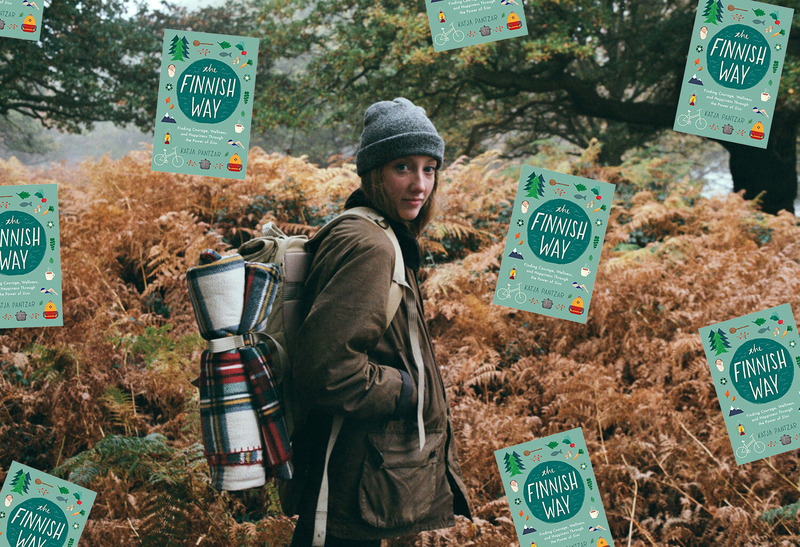 The Finnish Way: Finding Courage, Wellness, and Happiness Through the Power of Sisu by Katja Pantzar is now available wherever books are sold. Warning: It will make you want to move to Finland ASAP!